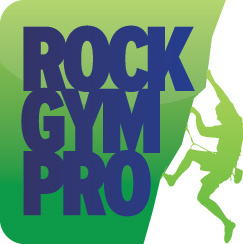 Rock Gym Pro has integrated ACHWorks within the software for billing ACH/draft payment processing (checking or savings bank accounts) right from the workstation. Here’s how to set it up in your Rock Gym Pro settings. To begin you will need an ACHWorks account. Apply for an account by downloading this processing application and submitting it electronically as instructed on page 1 of the application. You can also contact ACHWorks at 916-638-8811 (option 1) for specific questions regarding ACH processing. Once you have an account set up, in the Data Entry main window click Manage and select Settings to bring up the Configure Settings window. Click the Payment & Billing tab. Under Payment Gateways, click the Billing ACH/Draft dropdown menu and select ACHWorks/T$$. Click the Configure button and enter your location ID, SSS code, company name, key, email address, account set and alternate target URL. This information will be supplied to you by ACHWorks when your account has been established with them. Copy them exactly as provided, including upper/lower case. Click the Test Connection button to verify everything is working correctly. Click OK to save your account settings.